The Zenith Zodiac CH-601 XL is a high-performance single-engine, two-seat, low-wing, all metal microlight airplane with a fixed tricycle undercarriage with steerable nosewheel. The CH 601 XL was first flown in 1991 as an improved version of the CH-601 HD; developed for the amateur-built market and also for the American Light Sport Aircraft category. The CH-601 was developed in the early 1990s by Chris Heintz, founder and chief designer of Zenair. The Zodiac CH 601 HD (heavy-duty model) is the basic Zodiac model, based on the original CH 600 aircraft developed in 1984 as a primary trainer. The Zodiac CH 601 XL has a new airfoil and larger wing area than its predecessor. In 1992, Heintz licensed the kit manufacturing and marketing rights to Zenith Aircraft Company for the Zodiac CH 601 and the STOL CH 701 designs. In 1992, Heintz also entered into a license agreement with Czech Aircraft Works of Stare Mesto, Czech Republic, to produce and market his Zodiac CH 601 and STOL CH 701 designs for the European market. 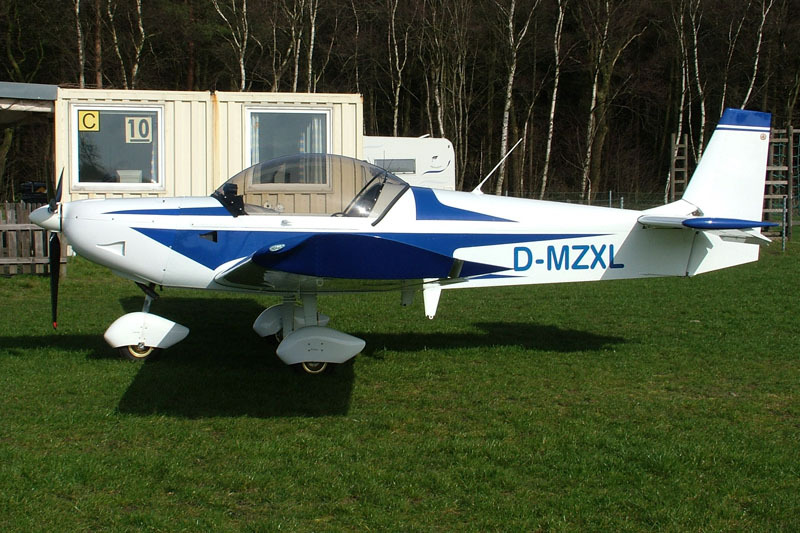 The Czech-produced Zodiacs were modified and lightened to meet European rules for microlight aircraft. CZAW produced some 750 such machines under this agreement. On 31 December 2006, after the license agreement, under which the Zenair Zodiac CH 601 and STOL CH 701 light aircraft designs were produced by CZAW, was terminated the Czech production came to an end. The Zenair CH-601 is nowadays manufactured in kit form by Zenith Aircraft Company, Mexico, Missouri in the USA and as factory-produced Light-Sport Aircraft (LSA) by Aircraft Manufacturing and Development Co. in Georgia, USA. In kit form, the aircraft is deliverable as a Basic kit and as an Quickbuild kit. The Basic kit, or 49% Zodiac airframe kit requires about one year (or about 450 hours) to build the aircraft, the quikbuild kit just 120 hours. Zenith's Zodiac XL factory demonstrator is powered by a six cylinder 110 HP Jabiru 3300 engine. The 116 HP Lycoming O-235, the 100 HP Continental O-200, the 100 HP Rotax 912S and the 110 HP Corvair engines have also been installed and successfully flown. Over 3000 CH-601 airframes are sold all around the world. The ICAO Aircraft Type Designator for the Zenith Zodiac CH-601 XL aircraft is CH60. On 10 March 2007, the under licence by Czech Aircraft Works built Zenith Zodiac CH-601 XL D-MZXL was seen at Ultraleicht Flugplatz Dankern near Haren (Ems) in Germany.